Hunedoara ([huneˈdo̯ara]; German: Eisenmarkt; Hungarian: Vajdahunyad, [ˈvɒjdɒhuɲɒd]) is a city in Hunedoara County, Transylvania, Romania. It is located in southwestern Transylvania near the Poiana Ruscă Mountains, and administers five villages: Boș (Bós), Groș (Grós), Hășdat (Hosdát; Hochstätten), Peștișu Mare (Alpestes) and Răcăștia (Rákosd). The city includes the most important Gothic-style secular building in Transylvania: the Hunyad Castle, which is closely connected with the Hunyadi family. The castle was destroyed by fire five times, but underwent many reconstructions from Austro-Hungarian and later Romanian authorities. Besides the castle, the town developed as a production center for iron and a market for the mountain regions nearby. During the 20th century, Hunedoara's population increased to 86,000 inhabitants. The city contained the largest steel works in Romania (until Galați took the lead), but activity gradually diminished after the fall of the Iron Curtain due to the loss of the market. This was a blow to the overall prosperity of the town, which is now recovering through new investments. The population consists of a majority of Romanians, with Romani, Hungarians and Germans as the most important minorities. The city contains numerous parks, with poplars and chestnut trees flanking the streets. There are many tourist attractions, including a large dam, with tourist facilities, located a few kilometers from the city, in the mountains. The name of the town seems inexorably linked to the name of the Hunyadi family (also known as Corvinus). The most probable explanation for the Romanian name "Hunedoara" is the transliteration of the Hungarian name "Hunyadvár" meaning "Castle of Hunyad", as many Hungarian towns have this suffix. Historically, the following names were recorded: Hungnod (1265), Huniad (1278), Hwnyadwar (1409), Vayda Hunyadi (1575). The latter Hungarian name Vajdahunyad (voivode Hunyad) is a direct referral to John Hunyadi. The etymology of the Hunyadi family implies a Vlach (Romanian) origin. Stone Age tools were discovered in the Sânpetru (Saint Peter) hill near the castle and in the surrounding villages. The region was very rich in iron, which had been extracted in the area since the Iron Age by Thracian tribes. The Dacian fortresses of Orăştie mountains, most notably Sarmiszegetusa, which became the most important religious and political center of Dacia, was located close to Hunedoara and was supplied by the iron produced here. The remains of eight Dacian iron furnaces have been found at the Sânpetru hill near the castle. The discovery of important monetary treasures of Dacian coins and Roman imperial coins testifies to the importance of the site. After Dacia was conquered around 106 AD and turned into a Roman province, the iron-rich region attracted the attention of the Romans, who began to exploit it by building furnaces. A "Villa Rustica" emerged in Teliuc, a Roman fortification on Sanpetru hill, outpost of the famous legio XIII Gemina whose main castrum was at Apullum in Dacia. Other Roman artifacts were discovered in the city area, and also in Pestis, where the remains of a Roman village were discovered. The new capital city of the Roman province of Dacia, Ulpia Traiana Sarmizegetusa, was also situated in the proximity. After the Roman military and administrative retreat during the Migration Period the region had no significant historic sites, although it may be possible that the iron activity continued. The ethnic structure of the region changed significantly, most notably with Goths, Huns, Slavs, Pechenegs, Magyars and Cumans. There is an ongoing scholarly debate over the ethnicity of Transylvania's population before the Hungarian conquest (see Origin of the Romanians). After 1000, as part of Kingdom of Hungary, under Slavic influence small political feuds grew (ruled by knjazes). South of the Carpathians the Pechenegs and Cumans held political power, and Hunedoara acted as a buffer zone for the Hungarian Crown. In time, the Vlach populations in the mountains nearby developed an original highlander culture. Their land is called "Tara Padurenilor" (Woodlanders Country) and they began to dominate the area demographically. The region also had a sizable population of German Saxons, colonizers brought by the Hungarian Crown after the Mongol Invasion and later, Romani who migrated from the Indian subcontinent. The first recorded evidence of the city was made in 1265 under the name Hungnod as a hub for leather tanning and wool processing. The city of Hunedoara became an important iron extracting and processing center in Transylvania. "Corpus Inscriptiorum Latinorum" refers to a local inhabitant as "natas ibi, ubi ferum nascitur", that is, "born where the iron was born". As the backbone for the manufacture of weapons and tools, the town industry was vital for the region. The city has been known since the 14th century mainly as the residence of the Hunyadi family. On October 18, 1409, Voicu (Vajk in Hungarian, also referenced as Wojk in historical sources), was rewarded for military bravery by Sigismund of Luxembourg, and received the domain of Hunedoara and the title of Knyaz (a Slavic feudal title, see "Universitas Valachorum"). Voicu was a Wallachian, Christian Orthodox faith (later converted to the Roman Catholic Church) from the area of today's Argeş County (Wallachia). In a village called Corbi are the remains of a fortress attributed to Voicu. Voicu's father, Şerban (recorded Serbe) migrated into Transylvania from Wallachia. This is attested by the Medieval writer Thuroczy who said "Quod ad genus tuum attinet, te ab ipsis vetustissimis Valachorum principibus originem ducere, patre natus Stephano Olacho, viro praestanti, cujus etiam aliqui tua familia Daciae Transalpinae, quae nunc Valachorum patria est, principes fuerint." He also continues later "inter quos Valachi gentiles tui minime postremos habent..."
The same document that recorded Voicu's reward for military bravery by Sigismund of Luxembourg also mentions his three sons: Mogoş, Radu and Ioannus Corvinus (Hungarian: János Hunyadi; Romanian: Ioan de Hunedoara; English: John Hunyadi). Both names Mogoş and Radu are of Wallah origin, proving the ethnicity of Voicu once more. Ioannus Corvinus spent his childhood here. His mother was a Hungarian princess with Croatian origins. He married Erzsébet Szilágyi, a Hungarian noblewoman. Hunedoara received town privileges in 1448 from the King of Hungary. John Hunyadi consolidated the citadel on top of an ancient fortress, creating the two main halls, for Diet and Knights. A Franciscan abbey was built nearby the castle in 1448 and John of Capistrano, a famous Italian monk, was sent by the Pope to organize a crusade against the Turks, and lived in the castle. John of Capistrano became instrumental later in inciting the peasantry to crusade, starting from Frankfurt and marching towards Belgrade. John Hunyadi was to become one of the heroes of the fight against the encroaching Ottoman Empire. He fought in the service of Sigismund, mastering military tactics in the Hussite Wars and the Italian republics, and became the most skillful warrior of Hungary. He was elevated and named Voivode (Prince) of Transylvania, which was at the time an autonomous part of the Kingdom of Hungary. Elected regent of Hungary, he formed a coalition with the principalities of Moldavia and Wallachia and engaged in crusades against the Turks to free Serbia and Bulgaria. The crusade, for a brief period, united the diverging forces of the Balkans, and the victories gained in battles managed to secure the Kingdom of Hungary from Ottoman occupation for over a century. Although he died in a military camp, his son Mátyás (Matthias) later became the most famous of Hungarian kings. Pope Aeneas Sylvius Piccolomini (Pope Pius II) called him Athleta Christi ("Christ's Champion") and The White Knight of Wallachia, also writing "the Hungarians being occupied in the wars with the Turks under the leadership of Hunyadi, remained more as winners than as losers. This man was a Dacian (today we call them Valahi) and not of noble birth, but well learned in weapons, and was the first to show the Hungarians that the Turks could be defeated.". Statues of John Hunyadi can be found in Hunedoara and various other locations in Romania and Hungary. In 1457 Matthias gave permission to the Wallachian serfs to build an orthodox church, beautifully decorated with paintings and preserved until today. He continued to consolidate the castle and the feudal domain of Hunedoara. 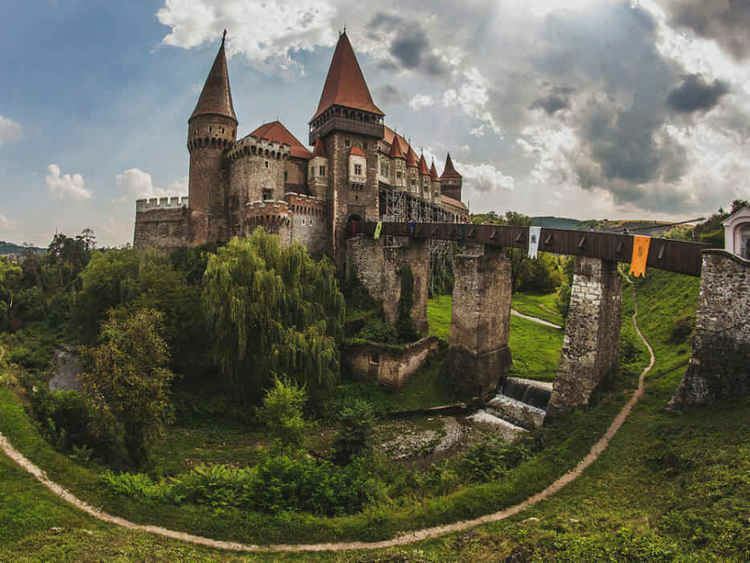 The castle of Hunedoara became one of the biggest in the medieval world, standing as a witness to the greatness of his family of noble warriors and statesmen, in an era of war and despair for the region, as the Ottoman Empire approached Central Europe. In the times of Hunyadi rule, Hunedoara became a market (opidum) for iron. Matthias Corvinus named the city a tax-free area, and this privilege lasted until the 17th century. The population varied between 784 people in 1512 and 896 people in the 17th century. After Matthias died, Hunedoara passed to his son, John (Hungarian: János; Romanian: Ioan), but he too died young. His wife, Beatrice de Frangepan, married Georg of Hohenzollern, Marquis of Brandenburg in 1509. But Georg de Brandenburg would not reside in Hunedoara, instead appointed a representative, György Stolcz. In 1514, during the peasant revolt of György Dózsa, some were imprisoned in the castle and probably tortured. The town numbered 184 houses, a considerable size for the time, and was ruled by an appointed Orthodox priest. In 1528 a fire destroyed 124 houses. In 1534 as the Kingdom of Hungary was conquered by the Ottoman Turks, the castle was besieged during the rebellion of Czibak Imre, the bishop of Oradea and two years later John Zápolya donated the castle along with other possessions to Török Bálint making him the richest nobleman of Hungary. In 1557 Török János, a proselytizer of Reformation is mentioned to have killed his unfaithful wife Kendi Anna in the castle. In 1601 the castle was besieged by the Wallachian army of Michael the Brave in his campaign - while ruling Wallachia, Moldavia and Transylvania - against the Ottoman Empire, and to switch the Ottoman vassalage to the Habsburgs. The town and the castle survived relatively unharmed by the Counter-Reformation of Giorgio Basta, general of the Habsburg Empire. By 1618, ownership of the castle passed to the Bethlen family. Gabriel Bethlen Voivode of Transylvania consolidated and enlarged the castle, and gave it to his nephew Stephen Betlen who lived here with his wife Mary Széchy, famed for her beauty. The Reformed Church of Hungary was established in Hunedoara in 1634 and Imre Thököly, one the leaders of the Protestant anti-Habsburg uprising and later Prince of Transylvania owned the castle and spent much time living in it. By 1685, the castle passed into the possession of Michael Apafi, the pro-Habsburg Prince of Transylvania. In 1710, the old church was returned to the Franciscans, and in 1725 it reacquired it's monastic rank. By this time, the majority of population was Romanian. Most of current Hunedoara was at that time a lush plain through which the Cerna river was meandering. The first blast furnace was built by 1603, followed by another four. The modern iron operations began at the foot of Saint Peter hill (Sanpetru), close to the most distant tower of the castle called Nebojša, (Serbian for "have no fear", a tower that was the furthest away from the castle in medieval times, to provide last refuge in the case of a siege; cf. Nebojša Tower). The mine shaft can still be viewed. Iron manufactures were also situated nearby. In 1667 there was already a steel mill on the Cerna river producing 490 tons of pig iron and 66 tons of iron by 1699. In 1714 Georg Steinhilbert made a second one and a third was made in 1727. In 1743 the operations were handled directly by the Treasury. Of the mills mentioned, one was located under the main bridge and its walls are now in ruins. The first tall industrial furnace in the world for iron extracting, it has been argued, was built in 1750 in Topliţa near Hunedoara, and a later one in Govăşdia in 1806. Both furnaces can be visited today. To reach it by road could only be through Teliucu Inferior (Alsótelek then) and Teliucu Superior (Felsőtelek then). Until 2001, there was a system of narrow-gauge railway built in the 19th and 20th centuries that ran from Hunedoara castle, near Zlaşti through a 747 and a 42 meter long tunnel through the mountain, and the breathtaking landscape of "Ţara Pădurenilor" (Woodlanders' country) before arriving to Govăjdia. It was dismantled and scrapped from Zlaşti to Govăjdia and Crăciuneasa by the last owner the Talc-Dolomită Zlaşti company. The last remaining 2.3 km (1.43 mi) long narrow-gauge rail system from the Hunedoara castle to Zlaşti was in use by the Talc-Dolomită Zlaşti company till 2007. In the summer of 2009 they have removed this last remaining section of this line. There are efforts now for restoring the train line for tourism purposes. In the 18th and part of the 19th century, as the town of Hunedoara became more and more industrialized, peasants from regions nearby began to move to the city and the population increased. Only the German, Hungarian and Székelys of Transylvania were represented in the Diet (see Unio Trium Nationum). The Romanians who at the time formed about approx. 50% of the population felt exploited and revolted on several occasions. The peasants of Hunedoara county supported the Revolt of Horea, Cloşca and Crişan in 1784, when they unsuccessfully besieged the nearby fortress of Deva. The castle in Hunedoara gave refuge to the local nobility, and it was its last function as military defense. Later representatives from the region were sent to the Romanian national assemblies held in Blaj during the 1848 Revolution where Romanians decided to demand equal rights and resist the attempt of Hungary of gaining independence from the Habsburg House. This started a small scale insurrection across Transylvania that was quickly quieted by the Hungarian army, except for the Apuseni Mountains, on the north of Hunedoara, where the tribune Avram Iancu struggled to keep the Hungarian forces away from controlling the gold mines. The subsequent failures of the later Austro-Hungarian monarchy to fulfill to the demands of the Romanians together with the Magyarization campaigns further exacerbated and alienated the Romanian population of Hunedoara. During World War I the Romanians from Hunedoara county actively supported the Romanian Army and the Romanian National Assembly declared the Union of Transylvania with Romania in 1918. After the ending of the war Transylvania became part of Romania. The Romanian populations in and around the city quickly earned political rights and representation, and industrial development continued at an ever-increasing rate. During World War II the steel works were part of the war effort for the Axis. The Romanian Army lost 700,000 soldiers on the Eastern Front and the Allies, an additional 400,000 soldiers fighting against the Axis. After the Soviet occupation and the subsequent communist regime, industry was favored, and Hunedoara had for a time the biggest steel-producing plant in Romania and the Balkans. The city grew larger, and the factories extended so much that they equaled or exceeded the size of the city. The population also increased to over 87,000. The football team, Corvinul Hunedoara, was for a very long time one of the highest-rated football teams in Romania, rivaling Steaua or Dinamo. A large stadium was built along with other sports facilities such as covered swimming pools and a skating ring. Besides the Corvinul sports club, two other sport clubs were constructed, Constructorul and Siderurgistul, each offering different sport facilities. Other notable constructions included a theater house, several large cinemas, many schools and high-schools and an engineering faculty. The communist collapse meant that the old markets for steel vanished, and many enterprises had to be closed or abandoned. However, investment from Romanian and foreign capital ventures started offering new job opportunities for the people. Currently Arcelor-Mittal runs what is left of the steel works. The steel mill now operates the No. 2 Electric Steel Mill, Continuous Caster and the rolling mills. Production is scheduled to rise above 500,000 tons of steel in 2007 and beyond. The rest of the production facilities have been demolished or have been sold to private investors. Before modern times, the ethnic balance of Hunedoara was more diverse, as was the case elsewhere in the region. During the rise of nationalism in the region the Romanians already had a solid majority and there was little of the ethnic friction that were to be found elsewhere in Transylvania (see Magyarization and Romanianization). The 1850 census registered 1,937 residents, consisting of 1,275 Romanians, 248 Hungarians, 237 Germans, 101 Slovaks and 86 Roma. The religious denominations included 992 Orthodox, 370 Greek Catholics, 316 Roman Catholics, 181 Reformed, 42 Evangelic and 36 Jews. The 1900 census registered 4,419 residents, consisting of 1,987 Romanians, 1,896 Hungarians, 365 Germans, and 101 Slovaks. 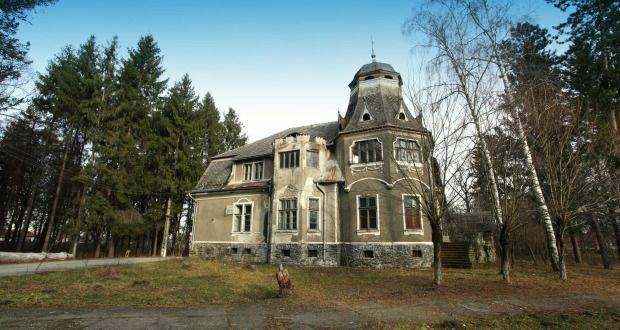 The number of Hungarians dwindled after the Treaty of Trianon of 1920 when Transylvania became part of Romania and the fall of Communism in December 1989 saw most German families leaving the town and the country to Germany. The Castle is known both by the name Corvin's Castle and "Hunyadi Castle". "Hunyadi" is more internationally recognized name for the same family, "Corvins" being used mostly by Romanians. The impressive size and architectural beauty sets it among the most impressive monuments of medieval art, with subsequent developments added Gothic and then Renaissance and Baroque. The building lies on a rock around which flows the Zlaști River. It has an impressive draw bridge, countless towers, a number of interior courts, and two large halls, "Knight Hall" and "Diet Hall", as it housed the Diet of Transylvania for a short period. The castle history is mostly related to the Hunyadi family, being the place where John Hunyadi spent his childhood. Today the castle is being cared for by the municipality, as there are no recorded descendants of the Hunyadi that could pledge for it. 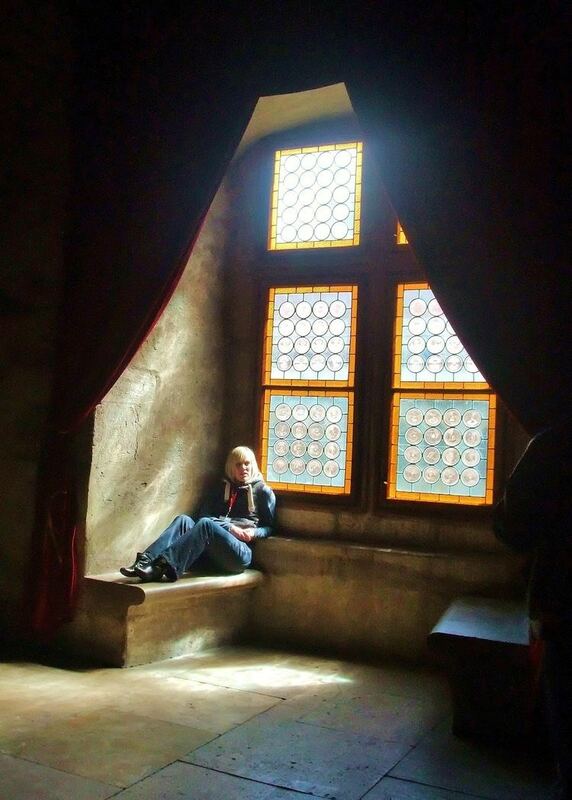 Vlad Dracul, the ruler of Wallachia, the father of the notorious Vlad Dracula, was imprisoned here, as he had fallen into disgrace with Hunyadi, not providing the help promised. (Dracula, who had once been traded as a hostage to the Ottomans by his own father, later became a protégé of Hunyadi, and took over Wallachia shortly before his mentor's death of fever). The castle and surroundings are often used by international film companies for the production of movies about medieval times. Unfortunately the Iron Museum no longer exists. Standing on a hill near Hunedoara, is a spot to get a view of the city. Located near the forest of Chizid, the zoo houses, among other animals, lions, bears, and wolves. Built in the 1958-1964 to supply industrial water for the steel mill in Hunedoara on the Cerna river, it covers the remains of five villages: Cinciş Cerna, Valea Ploştii, Banea Lui Crai, Moara Ungurului, Ciuleni. Before flooding the area, the villages were relocated uphill from the lake. The remains of the villages are still under water: foundations, walls of houses, churches wells, etc. Today the lake developed into a small resort for Romanian and foreign tourists. Vast and easily accessible by foot or by car, the mountains are inhabited by an ancient population of Romanians, called pǎdureni (woodlanders). They have retained their culture and a sense of identity, and hold a number of festivals annually. The Romans mined marble in the nearby quarry. The caves contain cultural artefacts and burial grounds of Neanderthals. As of February 2007, they are closed to the public. The natural reservation contains fossilized snails and fish. Hunedoara boasts one of Europe's most modern bowling alleys, that hosted the 2002 Bowling World Cup. Other sports facilities include red-clay tennis courts and an indoor swimming pool. Some of the notable athletes originating from Hunedoara include Mihai Leu, former WBO boxing world champion and national rally champion, Michael Klein (footballer), as well as Maria Cioncan, Olympic bronze-medal winner and Bogdan Lobonț, prominent football goalkeeper. Maria Neculita olympic bronz-medal, Barcelona 92.